Elena was born in 1976 January 24 in Minsk, Belarus. 2001-now time PhD student at the Institute of Art Criticism, Ethnography and Folklore of the National Academy of Sciences of Belarus. 2001-2003 Creative Art Studios of Painting and Sculpture by Ministry of Culture of Belarus. 1995-2001 Belarusian State Academy of Art (Graphik Fine Art Department). From 2003 Member of the Union of Artists of Belarus. 2003-now time artist and desiginer at The Highest Joiner’s League. Moscow. 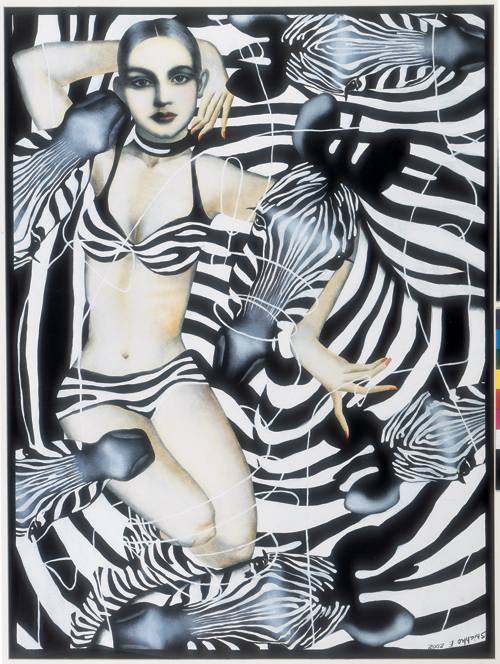 2000 Personal Exhibition “Graphic”. Nordwalde. Germany. 2001-2003 Creative Art Studios of Painting and Sculpture by Ministry of Culture of Belarus, scholarship. 2002 2 place in graphic nomination in republic exhibition “Time does not stay and does not wait”. Palace of art . Minsk. Belarus. 2001 Honors Degree of Belarussian State Academy of Art , Graphic department. 2000 Prize in international competition of mini-print “M.K.Churlionis-125” . Vilnius . Lithuania. 2000 3-rd Place in graphic nomination . Republic exhibition “New Names” Palace of Art. Minsk . Belarus. 1999 Prize at the 2-nd International Ex-libris exhibition “50 years of the Council of Europe” Rieka .Croatia. 1998 Prize at the republic exhibition “Time, Space, Person.” Palace of Art. Minsk. Belarus. 2003 International Ex-libris competition “Guiblieo 2000”, Pescara, Guiblieo, Italy. 2003 Republic exhibition “drawing 2003” National Gallery of Fine Art, Minsk, Belarus. 2003 International Mini-Print and Bookplate Exhibition “European Cities”. National Museum of Art Cluj-Napoca. Cluj-Napoka, Romania. 2003 1th International Es-libris Competition Exhibition- Ankara 2003. Hacettepe University, Ankara. 2003 “Digest Manege gallery”.Gallery Manege. Moscow. Russia. 2003 14th International ex libris Biennial ” Mithologie” . International Exlibriscenter Sint-Niklaas. Belgium. 2003 International ex libris competition “The Dream of Aphrodite” Acqui Terme. Italy. 2003 6th International Biennial of Engraving. Premio Acqui. Acqui Terme. Italia. 2003 “Art-Salon” gallery “Manege” Moscow. 2003 International Art Salon. Central House of Artist. Moscow. Russia. 2002 Republic exhibition “Time does not stay and does not wait” 2 place in graphic nomination. Palace of art. Minsk. Belarus. 2002 Group exhibition of engravings “House of Prute “, gallery “Terre des Homme”. Minsk. Belarus. 2002 Group exhibition “Double-2” Museum of Modern Art. Minsk. Belarus. 2001 11-th International biennial of graphic. Varna. Bulgaria. 2001 5-th International biennial of graphic “Josep de Ribera” Hativa. Spain. 2001 International Ex-libris exhibition “Mithological Characters of 21-st Century” Mexico. Mexico. 2001 3-rd International Ex-libris exhibition Rieka. Croatia. 2001 4-th International triennial mini-print. Vilnius. Lithuania. 2001 International exhibition of graphic art ” Ecology, Human, Nature, Fauna in the 3-rd Millenium” Vilnius. Lithuania. 2001 4-th International triennial of mini-prints. Vilnius. Lithuania. 2001 International exhibition of Graphic “Ecology, Man, Nature, Fauna in the III-rd Millenium”. Vilnius. Lithuania. 2001 Group exhibition of Graphic. Graphic Center. Gallery “Left, Right” Vilnius. Lithuania. 2001 The 1-st International exhibition al awarded authors of Graphics at Rijeka Ex-libris. Rijeka. Croatia. 2000 International biennal of graphic “Josep de Ribera”. Xativa. Spain. 2000 Republic exhibition mini – print. Grodno. Belarus. 2000 International competition of mini – prints. “M.K.Churlionis. – 125”, prize. Vilnius, Lithuania. 2000 Republic exhibition “The New Names”, 3 place in graphic. Palace of Arts, Minsk, Belarus. 2000 Group exhibition of graphic department of Belarus Academy of Art. Museum ASP. Wroslaw. Poland. 2000 The 6-th International biennial of miniature arts. The Cultural Center Gornji Milanovac. Jugoslavia. 1999 International triennial mini – print. Tokyo, Japan. 1999 Group exhibition “Vandrouka”, gallery АВ. Minsk. Belarus. 1999 2nd International exhibition “Ex – libris of 50th Anniversary of the Council of Europe”, prize. Rijeka. Croatia. 1999 Exhibition of graphic department of Belarus Academy of Arts. Museum of Modern Art, Minsk, Belarus. 1999 Group exhibition “3”. Gallery “Mastak”. Minsk. Belarus. 1998 International group “Ex – libris” exhibinion and plenair, Miedzynarodowy Dom Spotkan Mlodziezy. Krzyzowa. Poland. 1998 Republic exhibition “Time, space, person”, prize. Palace of Arts. Minsk. Belarus. 1998 Republic exhibition “Drawing 98”. Palace of Arts. Minsk. Belarus. 1998, 2000 Republic exhibition “Artist and Book – 98, 2000”. Palace of Arts. Minsk. Belarus. 1995 Group exhibition at Hull’s Maison du Citoyen. Hull. Canada. International “Marathon – Artistique”, group exhibition ARCO, Nevers, France. Museum of Modern Art in Minsk , Belarus ; museum “Tama Art University ” Japan, museum in Tetovo Makedonia, Ankara Ex-libris Sosiety, International Ex-libris Center of Sint-Niklaas in private collections in Germany ,France, Poland, Lithuania, Japan, Croatia , Canada, Russia, Belarus, Ukraine, Yugoslavia, Argentina, USA.